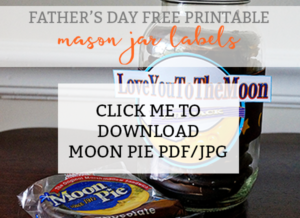 Today I will be sharing with you two free mason jar printables that are perfect for Dads and Grandpas this Father’s Day. The first jar was inspired by Creatively Christy. 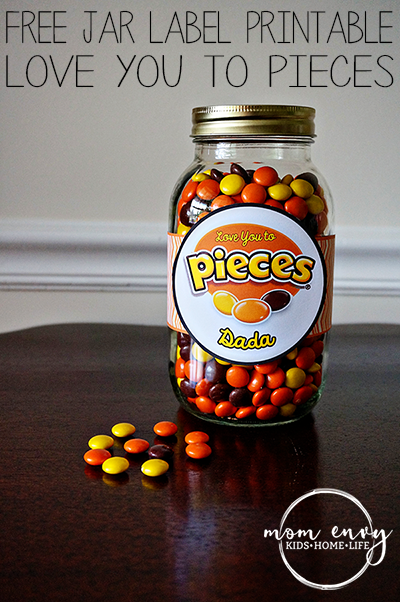 I made this jar for my husband last year on Father’s Day because Reese’s Pieces are his favorite candy. 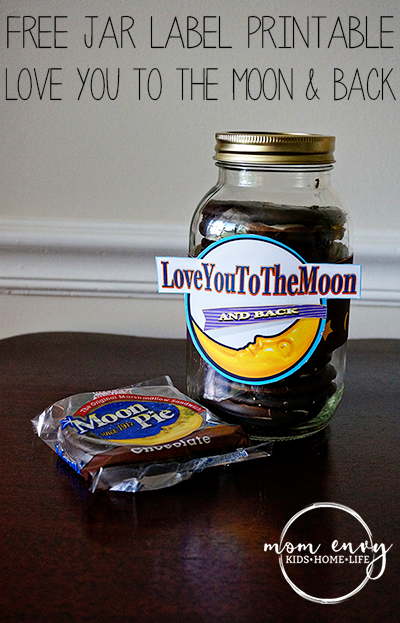 This year, I decided to use Moon Pies to inspire a new jar. 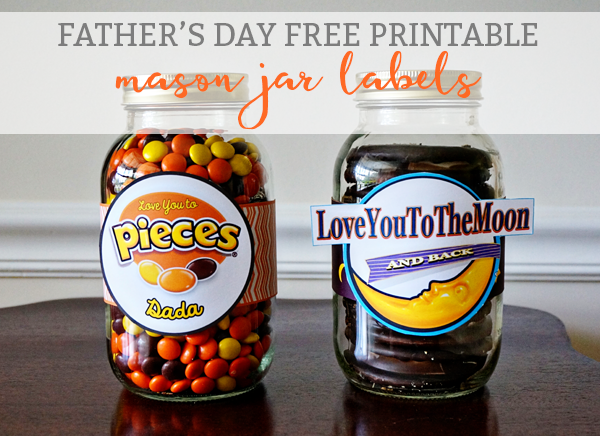 This jar is great for any loved one because it is not specifically labeled for Father’s Day (but is perfect for it!). Mini Moon Pies work best in the jar. You can find them here on Amazon. You can Amazon prime some Reeses Pieces here. It’s a small bag so if you are doing a larger jar like a mason jar, I would order more than on bag. It is still the best price per ounce than ordering the bigger bag. You can order mason jars here (Prime of course) if that is what you’d like to use as your container. I always love to have mason jars on hand for gift giving. **I have updated the Reese’s Files so that you can customize it with any name you would like. Click the image below to download the Reese’s File or the new Peanut M&M file. Looking for another cute gift for Dad this year? 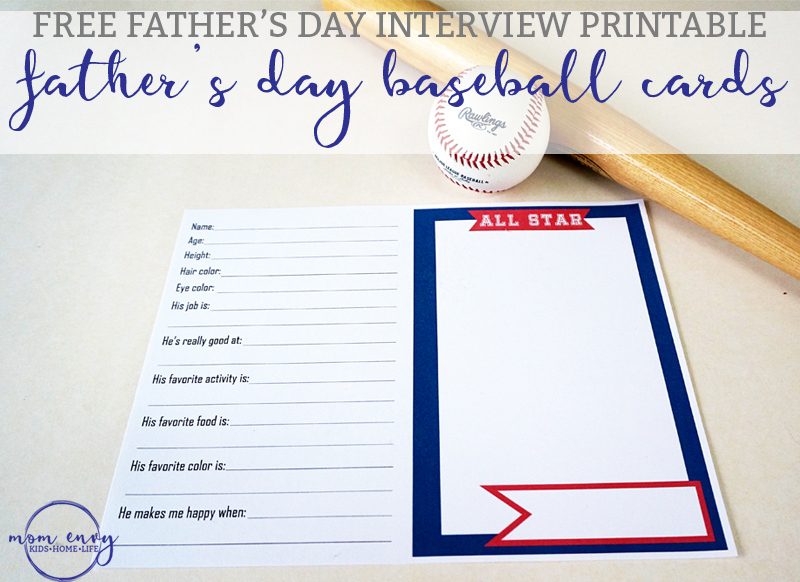 This printable is a quick and easy gift for the baseball-loving men in your child’s life. The labels come in PDF format ready to print and cut. 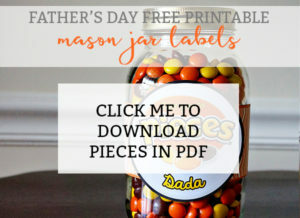 For the Reeses Pieces labels, I have included multiple versions of Dad and Grandpa as well as a blank label (now that my Dad goes by Dziadek, I understand the importance of leaving things blank to fill in a Grandparent/Parents nickname). The wraps are separate from the labels so that you can use them with any size jar. You can print one wrap for a smaller jar, trim the wrap as needed, and you can print 2 wraps and attach them for larger jars. Did you make any cute food-inspired gifts for Dad and Grandpa this year? I would love to see them! Hope you enjoy these printables! Then place a piece of tape under the circular label and apply to the center where the two ends of the wrap meet (it’s okay if they don’t quite meet, the label will cover it. Click on the images below the Download Below arrow. 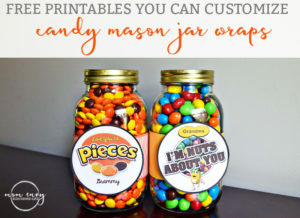 **I have updated the Reese’s Files so that you can customize it with any name you would like. Click the image below to download the Reese’s File or the new Peanut M&M file. The Moon Pie file is still available below. These are really cute! Trying to print the 'pieces' label, but it is not allowing me…even with the password entered. It is downloading and opening, just not printing. Any suggestions? I was able to print the stripes, but can't print the 2nd label page with the blank circle.